Scoutly supports 4 operating modes to scan items. DB: (Database Only) The program will only search from the local database on the phone. No Internet is required, so the result is returned instantly. For items not found in the database, it will return “not found.” You can pull those items away and use live search to review those “not found” items later. NF: (Database + Live Search on Not Found item) If the item is not found in the local database, the program will automatically do a live search on all Amazon items. 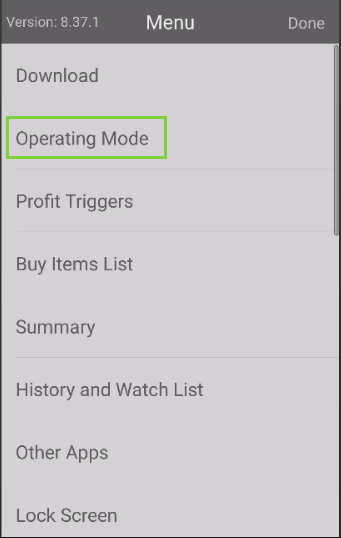 If you sign up for the professional plan and want to quickly find the items worth to resell, please use this mode. You can use live search (LV mode) to do more research on the selected items later. 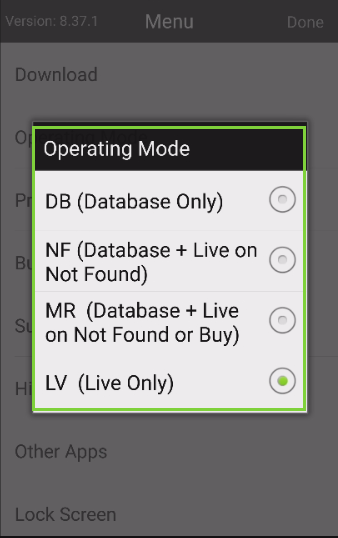 MR: (Database + Live Search on Not Found or Buy) If the item is not found or is signaled as ‘Buy’ based on the trigger, the program will automatically do a live search to get current information. This will allow you to find valuable items and do the research with one scan. LV: (Live Search Only) The program will only do live search. If you sign up for the lite plan, please use this mode. Or you can do it by tapping the *Menu Icon” from the main screen. Tap the ‘Menu’ icon on the top left of the screen to open the Menu. 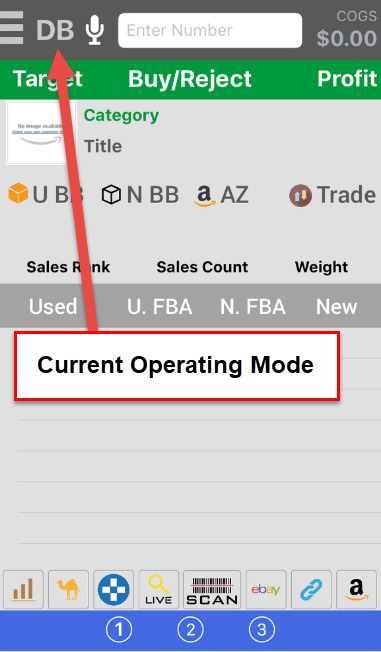 Tap ‘Operating Mode’ from the Menu and select an operating mode from the list. 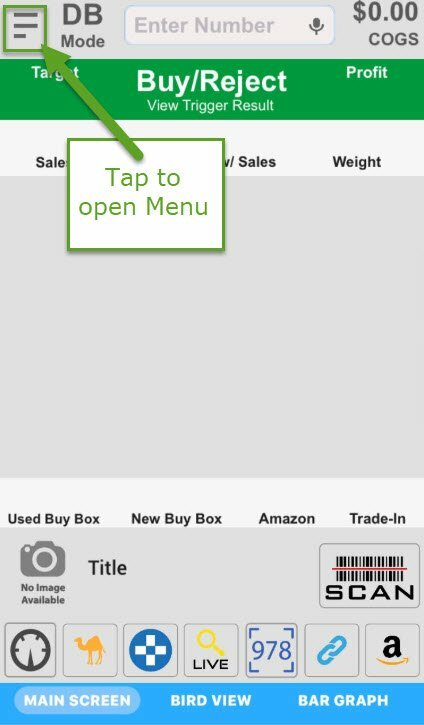 You can also tap the magnifying glass icon to do a live search on the current item.